Why choose an Oklahoma babymoon? Oklahoma - whose name comes from the Choctaw phrase okla humma (which means red people) - is a diverse state, with scenery ranging from prairie and woodlands to stunning mountain ranges. Offering plenty for visitors to see and do - or a beautiful environment in which to relax - Oklahoma makes a wonderful destination for your babymoon getaway. Aaron's Gate Country Getaways comprises 4 luxurious country cottages, designed to afford you the utmost comfort and privacy on your babymoon vacation. Each has its own distinct 'flavor', but all cottages offer a range of features, including king sized canopy beds, sitting room with sofa, fully equipped kitchen, robes and toiletries, porch or outside deck with seating and parking. The components of a special breakfast are provided for you, with a menu on the counter to help you prepare breakfast at your leisure. A bottle of "to-die-for" Vanilla Butter Sauce is included to pour over your fresh waffles and pancakes! Innkeepers Gary and Martha have created a special babymoon package to ensure your stay is as memorable as possible. It includes..
Also owned by innkeepers Gary and Martha of Aaron's Gate (above) is the Arcadian Inn - a bed and breakfast with 8 guest rooms in 3 buildings. Priding itself on providing the ultimate romantic getaway, the Inn offers breakfast served privately in your guestroom, ensuring your "quiet time" together is as undisturbed and as peaceful as possible. The breakfasts themselves are sumptuous, including delights such as fresh fruit with homemade sauces, savory egg dishes, and waffles and pancakes with homemade Vanilla Sauce. Should you wish to get out and about during your stay, there are plenty of local attractions to enjoy, including theatres, museums, and unique shopping in downtown Edmond. Voted winner of the 2009-2010 "Best Bed and Breakfast in Oklahoma City" by Oklahoma magazine, the Two Hearts Inn has 7 individually and lavishly decorated suites, designed to make you feel pampered and extra special! Built upon the philosophy of "Faith, Family and Friends", the Two Hearts Inn started out as a tea room and gradually evolved into a bed and breakfast specifically designed to "renew, relax and rekindle couples and relationships". What an ideal venue for your babymoon! Whilst the Inn doesn't have a dedicated babymoon package, it offers a variety of romantic getaways that would fit the bill perfectly. My favorite is the "Deluxe Romantic In-Room Picnic - With Dessert" Package which includes a picnic for two ready in your room when you arrive, for you to enjoy in your room or take outside on the beautiful grounds. Add to this the "I Love You Berry Much" package - which includes one dozen long stem red roses and chocolate dipped strawberries and cream - and you have everything you need for a blissful babymoon break. 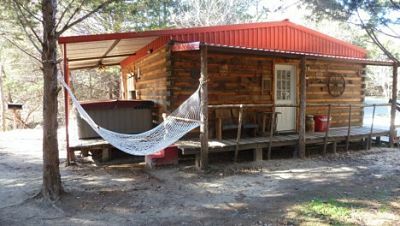 Could there be a more appropriate location for your babymoon than the "River of Love Cabins?" Located in Love County and nestled near the bend of the Red River in Thackerville, the River of Love hand-crafted log cabins are situated on 60 acres of privately owned land. Adjoined by over 3000 acres of wildlife reservation property, the cabins provide the perfect base from which to enjoy the exquisite natural beauty of the area. 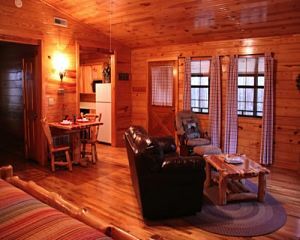 There are 5 romantic cabins to choose from, all with 2 person tubs (please not that Jacuzzis are not recommended for expectant moms), fully equipped kitchens, TV, radio, grill, fire pit and more. Sleep-in with a noon checkout! If you need some extra time a late checkout is a must! Chosen as one of the top 15 inns in the US for honeymoons and anniversaries in 3 recent consecutive years, the Grandison Inn is the perfect destination for your romantic "last hurrah". 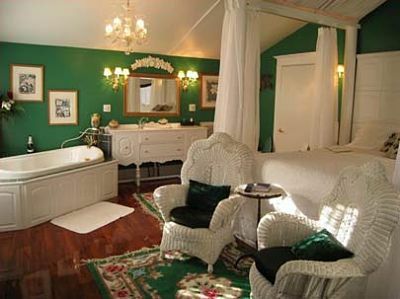 One of the city's most beautiful historic mansions, the Grandison inn has 8 uniquely themed bedrooms, each with private baths. The main parlor, music parlor and dining rooms retain their original Victorian splendor, providing a charming setting in which to unwind and reconnect as a couple. Victorian Haven - Chocolate dipped strawberries, complimentary champagne, floating candles and rose petals for the Jetta Tub. Honeymoon Hideaway - Chocolate dipped strawberries, complimentary champagne (you may prefer a non-alcoholic beverage for the mommy-to-be), rose petals and floating candles for the Jetta Tub, a basket of pampering toiletries and breakfast in bed! The Shiloh Morning Inn offers the ultimate escape from everyday life, with 73 acres in which you're free to enjoy the beauty of nature. If relaxation is your goal, however, then you can unwind in your beautiful, private cottage and take the time to enjoy each other as a couple. The inn has four cottages, each individually decorated and with a variety of luxurious features. The Roadrunner Hideaway is particularly suitable for babymooners, featuring a living room lined with windows facing the woods, giving you a wonderful feeling of privacy and seclusion. Lake Murray State Park and Chickasaw National Recreation Area are both within a 20 to 30 minute drive of the inn, or you can enjoy boutique shopping, museums, theaters and spas at nearby Ardmore. There are also "extras" available, including commemorative champagne flutes, balloon bouquet and embroidered robes. 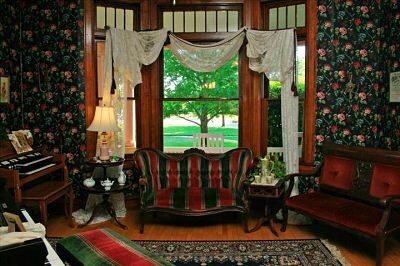 Built in 1914 and located in the DeBarr Historic District in Norman, Holmberg House is a small bed and breakfast offering a very personal service and excellent attention to detail. The inn is peaceful and serene, with a calming koi pond and a porch described by many as "the best in Norman". Start the day with a gourmet three course breakfast, then while away the hours perusing the local museums or shopping in downtown Norman. Alternatively, take the opportunity to relax in your cozy, comfortable room and soak up the charm of this 100 year old home with all the comforts of today! You may also wish to take advantage of the inn's concierge service and arrange for a spa treatment for two... ensuring that the mom-to-be gets the pampering she deserves! Your babymoon is the ideal opportunity to escape to a private, couples only destination... and the Eagle Creek Escape Guest cottages are absolutely perfect for relaxing, reconnecting and making the most of the peace and quiet before your little one arrives! Located in a mountain setting along Eagle Creek in Eastern Oklahoma's Kiamichi Mountains, these beautifully decorated cottages - offering either a lakeside or creekside view - offer a luxurious base from which to enjoy the area's stunning natural beauty. Featuring leather furnishings, king sized beds with top of the line linens and fully equipped kitchens, they are private and very romantic, providing the perfect hideaway for two! Whilst the mommy-to-be enjoys some quality 'me' time, the daddy-to-be may enjoy a little fishing, with stream and private lake fishing available right on the property. Local attractions include Beavers Bend State Park, Beech Creek Botanical area, antique stores and restaurants.